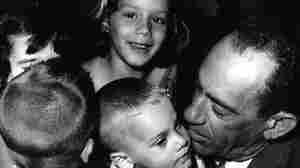 November 19, 2011  The U.S. government operation airlifted more than 14,000 Cuban children from Havana to the U.S. after Fidel Castro took control of Cuba. Fifty years later, those children are recalling how that flight changed their lives. November 16, 2011  Florida is where Cain for a time became a frontrunner — winning the GOP straw poll here two months ago. 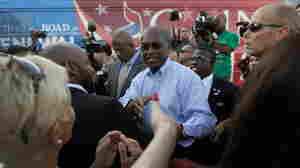 In a visit to southern Florida Wednesday, Cain sought to turn attention back to his 9-9-9 tax plan. 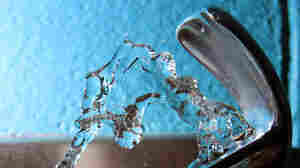 November 15, 2011  Public health officials say the evidence is solid that fluoridated drinking water helps protect teeth. But that hasn't stopped opponents from lobbying local governments against the practice. November 11, 2011  Florida Tea Party activists helped push presidential candidate Herman Cain to the head of the GOP pack at the state Republican straw poll in September. Since then, a series of women have come forward with sexual harassment allegations against him. 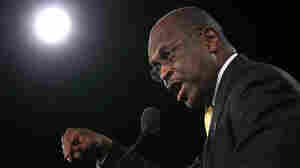 Cain's campaign has raised $90 million since Oct. 1 — more than double the amount raised in the previous 9 months. November 9, 2011  Regulators in Florida recently gave two utilities permission to begin charging customers for nuclear plants that won't be completed for at least a decade. To encourage development of nuclear power, Florida allows utilities to charge customers upfront for the costs. Now there's a movement to rethink that policy. October 31, 2011  In Florida, resident students who are U.S. citizens but born to illegal immigrants are charged out-of-state rates to attend state colleges and universities. They have filed a class-action lawsuit, charging that the regulations violate their constitutional rights. Rep. Allen West, R-Fla., shown in July, has drawn controversy for his comments about Islam. A Muslim activist in South Florida has devoted himself to challenging West's views. 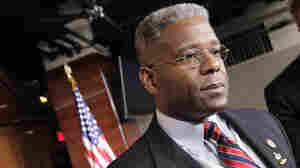 October 27, 2011  There's no member of the GOP freshman class in Congress more outspoken than Rep. Allen West. On the topic of Islam, West has been particularly controversial. Nezar Hamze, a Muslim activist in South Florida, says West's comments about the threat of Islam fuel intolerance. 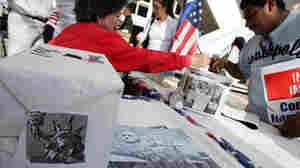 An immigrant signs a voter registration information card at a booth set up at a rally in downtown Miami in 2007. If a new law is upheld, the time period groups have to turn in new voter registrations will be reduced from 10 days to two. October 10, 2011  The new law reduces the time period groups have to turn in new voter registrations from 10 days to two. For forms turned in late, there are steep fines and other possible civil penalties. Critics say these changes violate the federal Voter Rights Act and unfairly target minorities. 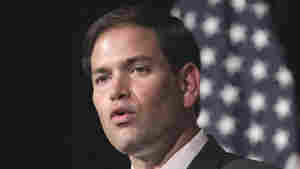 October 1, 2011  Florida's decision to schedule its Republican presidential primary early, at the end of January, is drawing howls from other states jealously guarding their early positions. Florida officials are betting they won't be penalized by the GOP for jumping the gun. September 30, 2011  Florida wants to be no lower than fifth on the calendar of presidential nominating events in 2012, and Friday its Legislature moved to hold its primary on Jan. 31. That is expected to move the Iowa caucuses into the first week of the year. September 28, 2011  Texas Gov. Rick Perry has called the program used by 55 million Americans a "Ponzi scheme" and a "monstrous lie." Recent polls show many Republican voters are willing to give him a pass on that. But that may not be the case in a general election. September 27, 2011  Florida has long sold itself as a destination for retirees looking for the good life — golfing, social activities and easy living in "active adult" communities. But, a new poll from NPR, the Harvard School of Public Health and the Robert Wood Johnson Foundation finds that many retirees find retirement isn't living up to their expectations. A quarter of those surveyed says life is worse in retirement than it was before. Many say they're not able to travel and remain as active as they'd like, and major factors are finances and health. September 26, 2011  To try to jump-start Puerto Rico's economy, Gov. Luis Fortuno pushed through a series of cost-cutting measures — including eliminating more than 20,000 government jobs. This has helped close Puerto Rico's large budget deficit, but it's done little to help those struggling to find jobs. 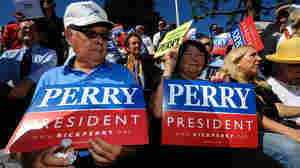 September 24, 2011  The former Godfather's Pizza CEO easily beat Rick Perry and Mitt Romney. It's a big victory for Cain, who up until now has not gotten a lot of attention in the race for the GOP presidential nomination, in large part because of his standing in the polls.